Click photo to see original article on Yacht Forums. 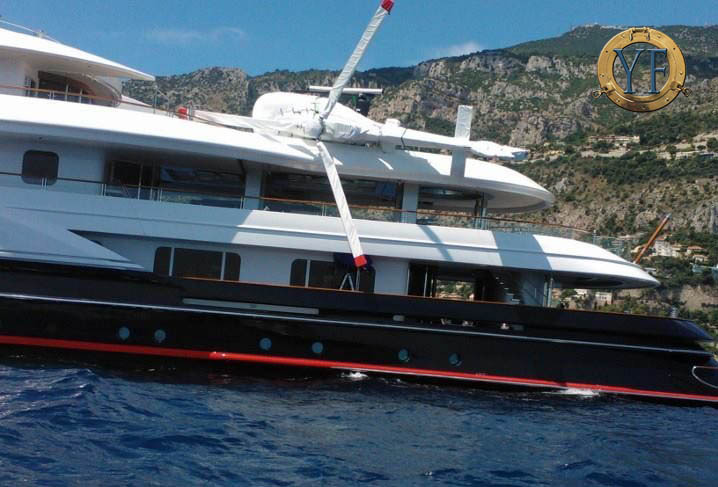 You might have read in Super Yacht news or on Yacht Forums about the recent accident on Attessa IV when their embarked helicopter was blown onto its side during a storm. Although this will undoubtedly be an expensive mistake, at least I was happy to read that there were no personal injuries. In that respect this incident could have been a lot worse. I have advised on the safety infrastructure and crew training for embarked helicopters on numerous superyachts. This incident serves as a reminder that we must always be vigilant. Out of interest, there’s a video below of a Eurocopter landing on Attessa IV during happier times.